Do Almonds Grow On Trees, Look How to Grow Almond! Home Almonds Do Almonds Grow On Trees, Look How to Grow Almond! Do Almonds Grow On Trees – Do you know what is almonds? Does it grow like peanuts or fruit on trees like rambutan and other plants? Actually, Almond grows in a tree called “almond”, in a scientific language called “Prunus dulcis“. Almonds are divided into two types, some are sweet and delicious to eat and some are bitter and poisonous. According to archaeologists, bitter almonds have grown around 6000 BC and were found in Greece. According to other sources, wild almonds have been discovered since 3000 BC and grow wild, taste very bitter and are considered toxic. While eating almonds were first discovered in the Levant, eastern Mediterranean. If we notice, these two types of almonds are very unique, the difference between them is very striking. Some can be eaten and some cannot be eaten, usually plants that come from the same type do not have striking differences like this. Bitter almonds are considered a dangerous poisonous fruit. It contains hydrogen cyanide which is well-known as a dangerous toxin. Why does this type of almond taste bitter? This is because it contains compounds called amygdalin, these compounds also make almonds toxic and dangerous. However, the famous almond oil circulating on the market is the result of bitter almond extract. That is why this almond is used for external needs such as tightening the skin, overcoming acne, overcoming Stretch Marks and removing stains and others. Almond trees thrive in the Middle East, especially the Mediterranean. Almonds can grow to a height of 4 to 10 meters. It can thrive either in winter or summer. Almond trees will bloom before fruiting. If you observe, this plant provides its own beauty in the flowering period. After flowering, almonds need 8 months to be harvested. The size of almond fruit varies, some are 6 cm and some are 3.5 cm. While almond stems usually grow to a diameter of 30 cm. One of the benefits of almonds that is very interested in is the oil. The large market demand for almond oil makes farmers want to continue to develop almond plantations. 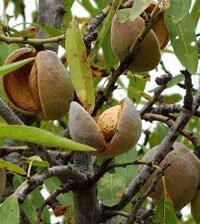 From the reviews above, we know that almonds grow on trees not in soil such as peanuts or other tuber crops. Are you interested in cultivating almonds, read on this article. Why are these nuts called superfoods? The reason is that it is rich in nutrients and vitamins. The high nutritional content makes almond as a fruit that is in great demand even its name is also often called superfoods. 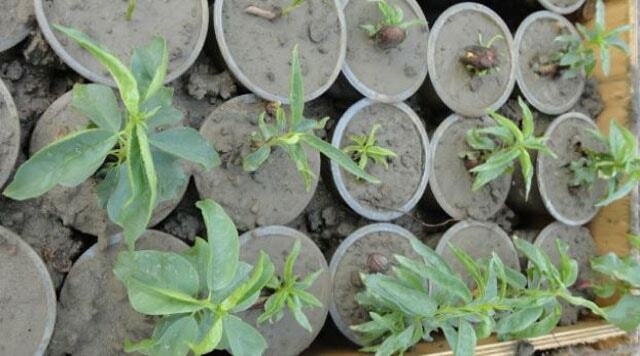 Before you conclude to plant almonds, you must know what kind of place is good for almond plant growth first. Almonds are plants that are susceptible to pseudo-seasons that are frozen and cannot adapt to soils that are too wet and runny. Instead, almonds can grow well under the hot sun in the summer and in the cool and wet winter. This is a parameter that you must know well before stepping into an almond farmer. In addition, to produce maximum fruit, almonds cannot grow on their own because they need cross pollination. For that, you must plant a lot of almond plants or at least two stems. In order for cross-pollination to take place properly, you can plant two stems in the same hole, they will grow together and allow cross-breeding. Almond treatment is on time. 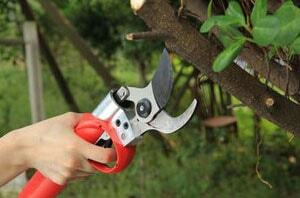 In winter, the treatment that is done is to cut off the branches to grow a productive new branch. In winter, almonds are not active in fruiting so it is appropriate for this treatment. At this time farmers must clean weeds, remove grass on the trunk to minimize plant pests. Spray with dormant oil to kill stem borer pests. When almonds begin to flower, the treatment that must be done is fertilization. For old stems, you can use manure and urea, while for young green stems add nitrogen. The right watering is to make drip irrigation so that the plants are always supplied with water. If it is just planted, then this watering must be done every day. 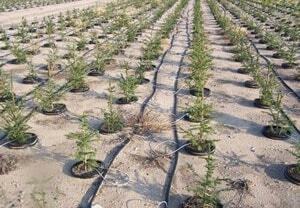 However, if almonds are well established and start to grow, farmers can water with a weekly duration. If the land you are preparing for the almonds garden is sandy, then the watering must be more than other fields. When almonds enter spring, don’t stop applying fertilizer. Perform fertilization on an ongoing basis, as well as irrigation, do it continuously until harvest period. To get high quality almonds, the harvest time must be right, it can’t be too late. If the harvest is not done on time (late) then the almonds will decrease in quality and cannot be stored for a long time. Almond farmers will ensure first, whether almonds are ready to be harvested or not. The usual way is to shake the trunk of an almond tree. If there are almonds that fall, this indicates that Almond is ready to be harvested. In addition, there are other ways to find out this. Farmers will see whether the almond shell has broken or not. Usually almonds that can be harvested, the shell has broken and the color has turned brown. The time needed to harvest is around 180 days to 240 days. 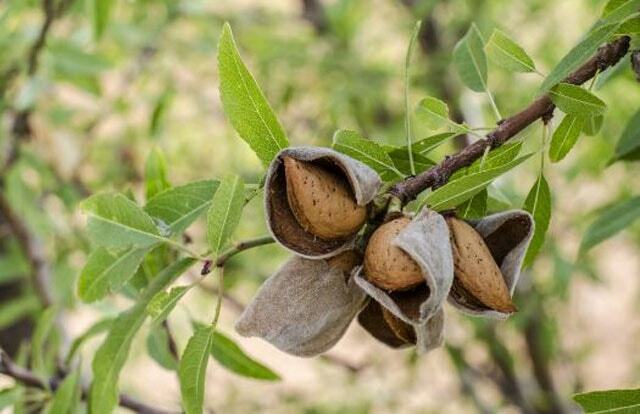 When the almond stalk is rocked, it usually falls not only on the fruit but also the leaves and twigs. After the almonds fall into the ground, the almond fruit will be chosen by hand. 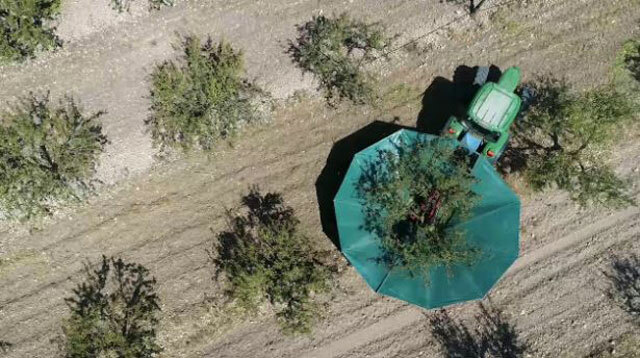 But now, almond farmers are progressing, they are using agricultural technology, special machines to shake the almond stems and pick them up. This method needs screening to separate high and low quality almonds.